it's my girls' world: What's up, Wednesday? Friday: Takeout or dining out! Honestly, I'm so busy/tired these days, I don't have time to reminisce… maybe the days of a 5:30 pickup at Cassia's old school--- I mean I never picked her up exactly at 5:30 but it wasn't rush, rush like right now for just after three. Soups, candles, my blanket cardigan and my fedora! School, extra curricular (swimming, skating, gymnastics, violin and music), spending time with family and friends over the weekend! And I do a bit of volunteering with both kids' schools just to get in there a bit. I need to Konmari my house and I don't know if I'll get started anytime soon. It takes a whole day per thing (like my closet)--- how can I do that?! 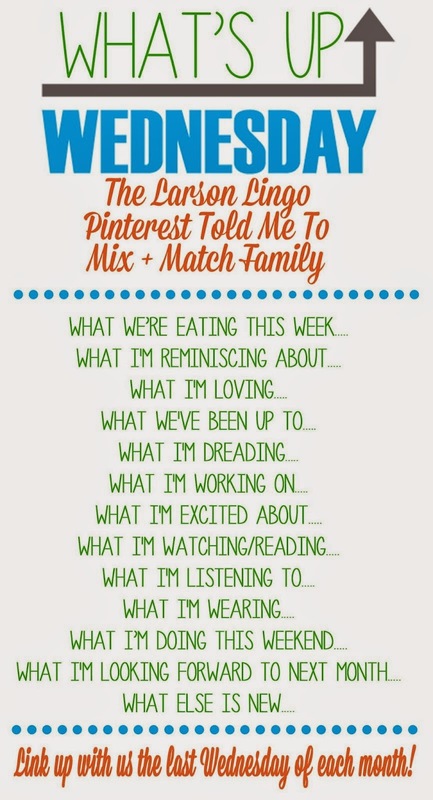 A whole bunch of little stuff with the house, my blog, the kids, their schools, our weekends! I am reading my Marie Kondo book but very slowly. 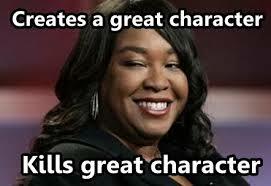 I'm loving my fall shows like Grey's, Scandal, How to Get Away with Murder, Modern Family, DWTS and Nashville. 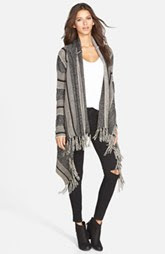 Blazers, blanket cardigans and scarves…'cause it's getting really chilly! Got this one sometime ago at the Nordstrom Anniversary Sale. Oh and big necklaces-- because they're pretty! On Friday, we're going to take it easy and spend some time as a family. On Saturday for Halloween, we will be going to a friend's house for pizza, drinks and trick or treating. My nephew and brother are also joining us. On Sunday, it's a playdate and another party--- fun times! What is my favourite Halloween tradition? Soup and chili are perfect for this time of year and I prefer to eat out on Friday too after cooking all week. Congrats on getting your Cancun trip booked. That sounds amazing! 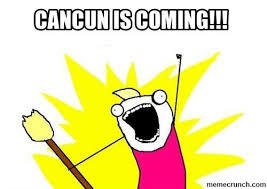 Cancun?! Swoon!!! Oh my goodness sounds fun. Lady you are staying BUSY! I bet that makes the winter getaway that much more exciting. Let the countdown begin! Have SO much fun in Cancun!!!! Send your chilly weather to California...we have been in the 80s & 90s...so hot! I wish we had Fall here! Cancun??! So jealous! What a fun year of vacations for you guys. And your weekly menu just made me so hungry. I'll take one of each, please!